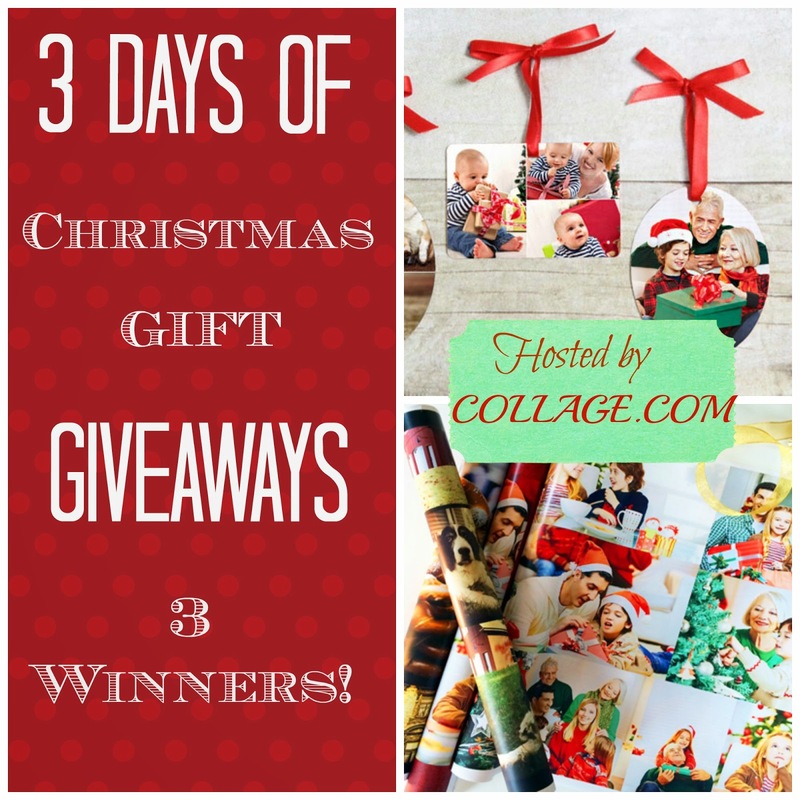 It's the final day of my Christmas Gift Giveaways here at Thrift Schooling and I have a real treat for you! 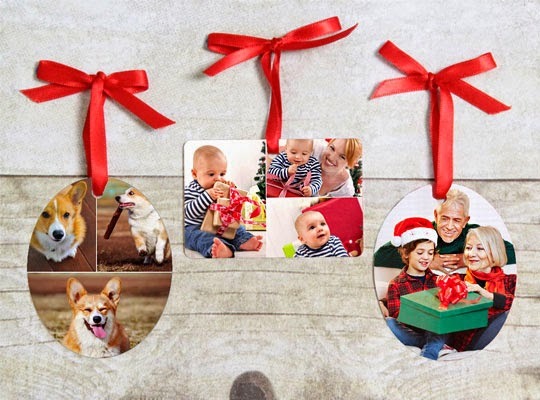 Enter to win a Custom Photo Ornament just in time for the holidays! You can order the oval 2.375" X 3"or the rectangle 3" X 2". Both styles will hold one to six photos. What makes these ornaments unique is the image is printed on both sides! I love that! I completely forgot about that fact when I got it. Then, when I received it in the mail and pulled it out, I was excited to see the pictures on both sides, in great quality too! I had fun making this ornament. I chose the oval style and simply did one photo. But I didn't stretch it. Rather, I found a fun Christmas theme background on the site and placed the image over top of it. It turned out beautifully! Enter the Rafflecopter Below to win an Photo Ornament of Choice! Be sure to enter my other giveaways listed below! 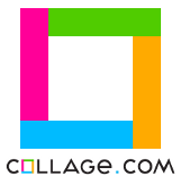 Disclaimer: Many thanks to Collage.com for providing Thrift Schooling with the above product for the purpose of this review. 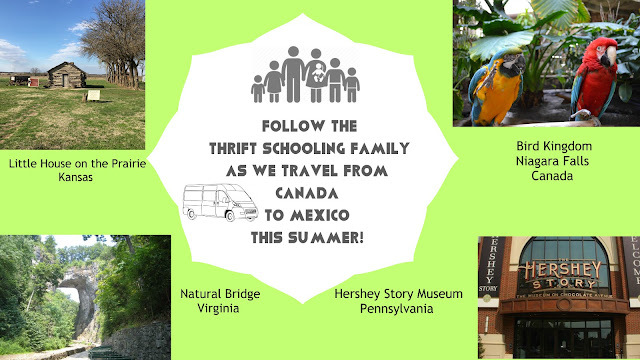 A big thank you as well for providing a Thrift Schooling reader with the same prize! All opinions stated in this post are my own. It is a tradition that I give my hubby a photo ornament every year. i haven't ever used this company and would love to compare them to the company I have used in the years past. I want to win because I want to give a special gift to my brother and his new wife. My son would look awfully cute on a Christmas ornament.